It’s your choice of two watch-sites for Huskers N Arizona’s “Game Day” for October 14th. 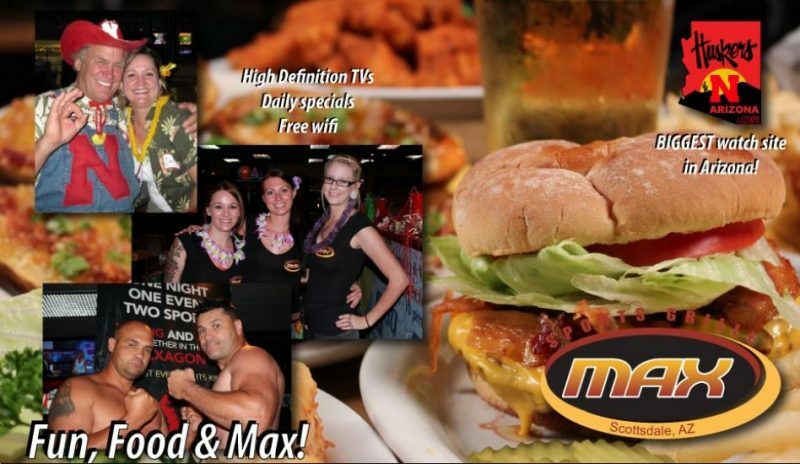 Max Sports Grille, one of our original charter watch-sites, will make you forget you’re in Scottsdale and make you feel like you’re back in Lincoln. On the west side, one of our newer watch-sites, Whiskey Rose (in the Westgate Entertainment District near Cardinals Stadium) is another great place to watch the game, while enjoying their delicious food.